Epic Rap Battle of Nonprofits: Who Wins? Who Loses? Who did you vote for in the Epic Rap Battle between Einstein v. Hawking? How about Obama v. Mitt? I’m still referring to the ERP. Clint Eastwood v. Bruce Lee is a personal fave of this Editor-in-Chief. What does an Epic Rap Battle have to do with an educational report on microlending and financial empowerment of women on this third rock from the sun? Well, picture this. Rivalries have the potential to benefit both group A and group B. Take for example, the two frenemy cola companies. You know everyone wins in that dance off, right? Likewise friendly competition between complementary causes can cannibalize but most of the time, cross-promotion results in higher donations for each. That brings me to Executive Director Meg North Taylor’s Lending Promise nonprofit v. Mark Tuschman’s Faces of Courage Photojournalism Kickstarter. Note: SGL Media has donated 4 staff hours to consult for Faces of Courage (#FOC) and this is a post-mort. In other words, readers here get to benefit from what intell our scouts bring back. Problem Identification Faces of Courage is a popular phrase and the first page of Google Search results and Twitter top tweets have already been staked out by a cancer organization that’s marked it for supporters as a tagline. Fortunately, Mark Tuschman is not a Highlander. Even if he were, I bet he’d be the type to assist the Highlander anti-baddies until the final showdown when there can be only One. It is uncertain if the cancer organization is led by Highlanders. There is good evidence for and against that theory. Perhaps the leaders are Highlanders anti-baddies who have chosen to support a human cause to make best use of their immortality. It may be fatiguing to lose mortal friends to cancer. Yes, Highlanders have feelings like the rest of us. Even if Faces of Courage II are not immortals, they might have supernatural friends who also care very much about cancer prevention, cancer support, and post-cancer rehabilitation. Faces of Courage I and II can team up if they are serving the same population or complementary target segments. For instance, Mark Tuschman brings awareness to ways regular Janes can help encourage physical safety and financial independence of women and children rescued from trafficking. Faces of Courage II, the cancer organization might serve consumers who are fighting cancer and sexual exploitation. It is possible. However, it is likely to be too narrow a niche. Therefore, it might be better for Faces Courage I to focus on its competitive advantage: visual essays with photojournalism in coffeetable book form. It follows, that Faces of Courage II would better serve its existing fans and new consumers by mining their cancer experts rather than learn a new subject matter specialty: post-trafficking rehabilitation for women and children and financial literacy training. How can Faces of Courage I and II not be mistake for each other? You probably went to school with at least 3 Mikes, right? Mike F., Mike K, and Mike-who-has-the-best-console. 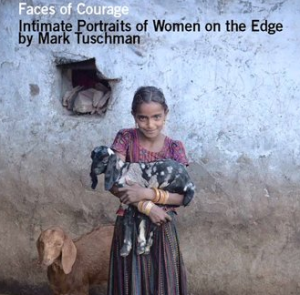 Likewise Faces of Courage I is Mark Tuschman, photojournalist who is raising funds to fight trafficking of women and children and fostering financial literacy as #FOC. Faces of Courage II, the cancer organization chooses not to use the cheeky hashtag. 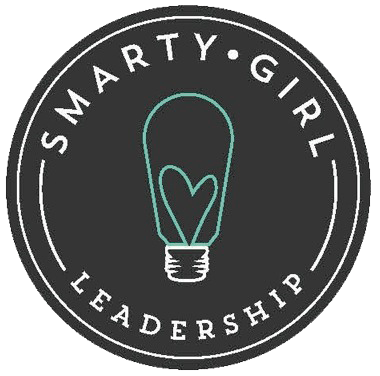 Since Faces of Courage, the Kickstarter photo book, has supporters who are SmartyFellas and SmartyGirls who like their humor a bit Smartassy, #FOC makes sense. Let’s backtrack to Lending Promise. It’s not about fighting cancer or directly rescuing women and children from poverty and sexual exploitation. However, Lending Promise has some Venn Diagram overlap. How? Well, those most economically disadvantaged are also vulnerable to physical violence and emotional abuse if they are not financially literate. Executive Director is liberating women one microloan at a time. What is microcredit? These are very small loans given to a group of poor women who form a collaborative of women entrepreneurs. These women watch after each other and meet weekly for entrepreneur training (and making repayments). Their craft? Often textiles or agriculture. What amount? The microloans are usually $50 cash. This cash is in local currency rather than BitCoin. How is it repaid to the investors? Cash is repaid at the agreed upon repayment date. The weekly conferences by self-directed entrepreneurs (‘treps) take place for increasing best business practices, monitoring those in danger of default and business problem-solving. If an individual borrower is in danger of default, the common group fills in the gap and does in intervention problem-solve. What is the default rate v. repayment rate? Executive Director Meg Taylor reports that the repayment is 100% since Lending Promise’s founding in 2006. How does this compare to other investments? Compare this to 70% for U.S. Small Business Administration Loans and the industry standard is 98%. Boom! That’s right: 100% repayment for Lending Promise. In other words, this is higher rate of repayment than in other investments. Instead transformation takes place organically. A woman profits, her village reaps the benefits and her family relationships improve. Example? Relatives with a previous bias might be won over with an empowered woman’s results. Results cause the transformation, gradually changing perceptions of women as leaders of business and equal decision-makers in the home. Men and women-enforcers of tradition allow children to attend school instead of doing work to support the household. Director Meg Taylor says this is her joy. She works full-time at her other job as a communications professional at a high-tech company. So who would win in an Epic Rap Battle between Taylor v. Tuschman? Hard to say. We’d like to hear your take. Comment below. Meanwhile SGL Media Editor-in-Chief will be rocking a mustache behind-the-camera this summer to raise money for Kickstarter cause Faces of Courage I by Photojournalist Mark Tuschman. That’s right, Team Tuschman.